Claire is an up-and-coming movie exec who inherited her grandma’s book store in the quiet beach community of Eden Bay. Alyson is a surf-bum who embraces the small-town, beach lifestyle. When a surfer is killed, the two ex-best friends are pulled together to solve the murder. 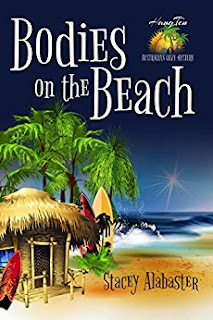 Can they put their differences behind them and find a killer before there are more bodies on the beach?